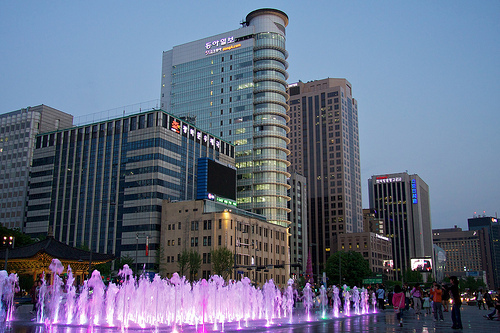 A good fare to visit Seoul, a city rich in culture and sites. Valid for travel on the first international sector through June 30th, 2014 and from August 25th – December 11th, 2014 for Monday through Friday departures . Must purchase at least 1 day in advance of departure. 14,646 miles or 5.7 cents per mile. 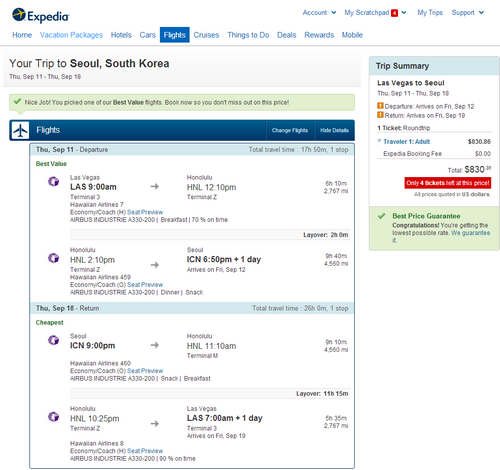 Book on Expedia using dates found on ITA Software Matrix Airfare Search. Select “Show Additional Options” and then under “Preferred airline:” select “Hawaiian Airlines” to price this out.